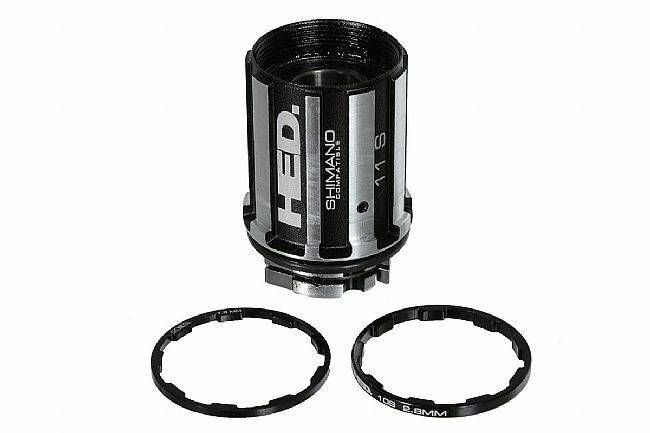 This 11-Speed Freehub Kit makes it possible to convert your HED Wheels with 15 mm rear axles to accept Shimano 11-speed cassettes. In the box you'll find an 11-speed freehub, a dust cap, and spacers for Shimano/SRAM 8/9/10 cassettes. This kit is compatible with Jet, Stinger, and Ardennes models with 15 mm rear axles. It is not compatible with H3 hubs or Jet / Stinger Disc wheels. HED manufacturer part number HU651. Note: Most wheels will need to be re-dished by approximately 1mm. Just what I needed to change over to the new Dura-Ace 11-Speed Group. Good quality product that allowed me to switch my Hed Ardennes to 11-speed. After switching you generally need to have the wheel re-dished slightly. I actually haven't done mine yet and it still works fine. It's a bit pricey like most high end bike parts but biketiresdirect had the best price.